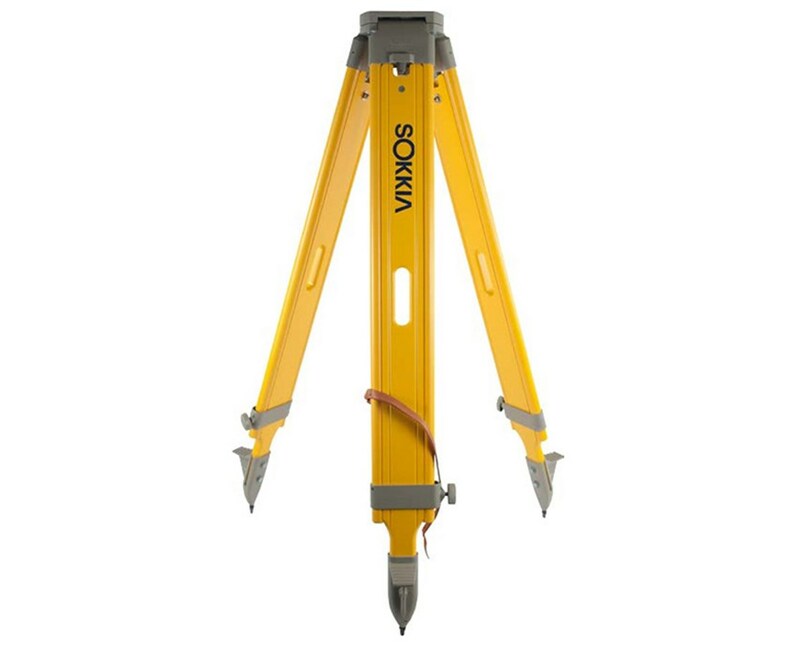 The Sokkia Wide-Frame Wood Tripod 751252 is ideal for mounting surveying instruments. Its adjustable legs extend to 72 inches and collapse to 45.75 inches. With self-adjusting hinges, adjusting and securing your desired height on this tripod is simple. 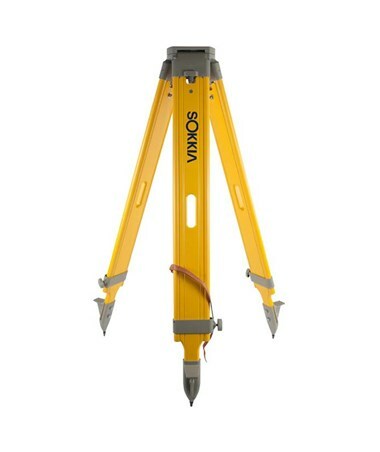 And pointed feet made of hardened steel allow your tripod to grip the ground and maintain a sturdy foundation. It also features durable nylon bushings that promote smooth operation. The Sokkia Wide-Frame Wood Tripod is constructed of lightweight North-American Maple wood with yellow and grey finish. These durable materials are wear-resistant even in direct sunlight. And its flat head has a 5/8 x 11 thread for easy mounting.